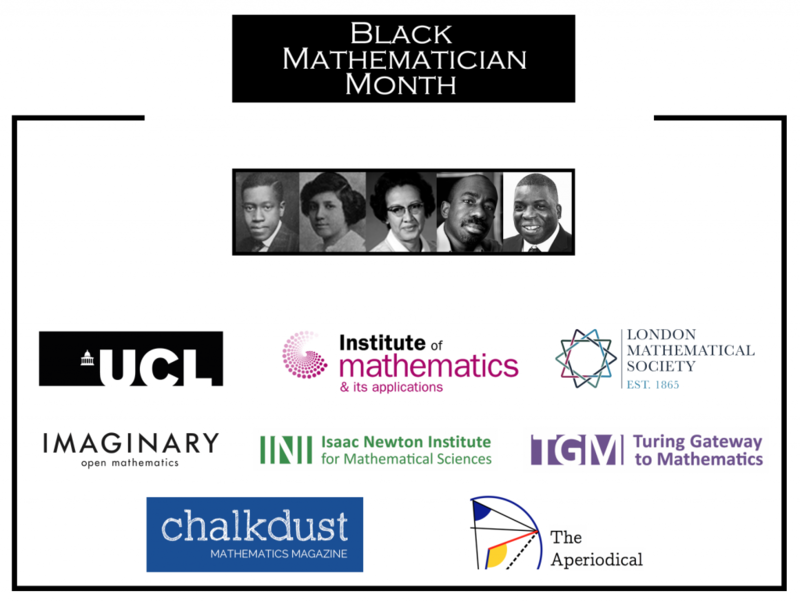 Below is an article marking the end of Black Mathematician Month, written by the team at UCL. We’ve been participating in the project too, and we’ve found it a great opportunity to invite new authors to write for our site and to showcase black mathematicians from the UK and elsewhere. We’ve posted several articles during the month, and hope to continue to feature more diverse authors on the site going forward, with a few more posts anticipated soon.